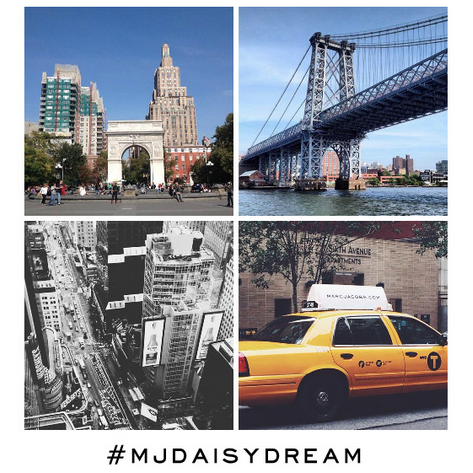 Today I want to share with you my New York pictures taken exclusively for Marc Jacobs celebrating a launch of the brand new fragrance Daisy Dream. Daisy Dream is all about dreams, and since mine is to move to NYC, every time I spray on this flowery scent I picture myself laying in a flowerbed in Central Park surrounded by this noisy, amazing city. 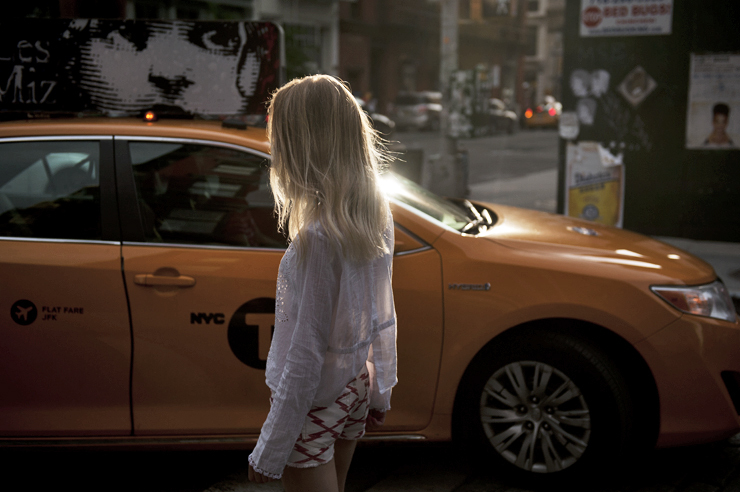 We took these pictures in Soho during the golden hour. Sun coming down between huge buildins, shining in yellow cabs – it looked beautiful. If NYC is also your dream, as I’m sure it’s many people’s, you can click here to create your dream capsule with pictures of NYC for a little bit more of dozy dreaming. If you are one of the girls hanging on to google images, endlessly researching Manhattan this is a place for you, it combines my dreams, my memories and my wishes all about NYC. 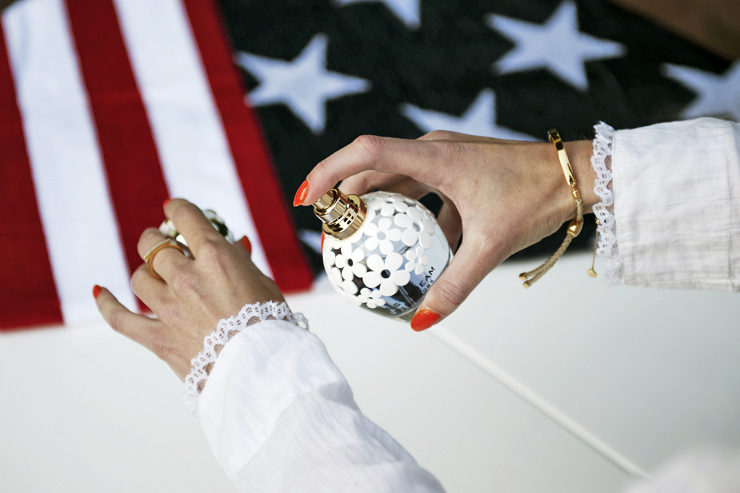 Your daisy dream capsule will be sent back to you in one year. I recently got daisy for my birthday last month and I’ve been so excited. I find myself reaching for it everyday. Great shots. I love your top too. I love this perfume! Lovely outfit! All of these photos look beautiful and somewhat dreamy! Love this look. The combo of differenet styles is so cool! Thats the prettiest perfume bottle ever! Everything about this look is utterly magical, and I just want that perfume bottle for the bottle. The design is perfection. Kocham ten perfum , piękne zdjęcia ! So gorgeous. I heart New York to death. have a great day beauty! i love your blouse!! so romantic! There aren’t really flowerbeds in Central Park—and especially not ones you can lay in (actually, there are a lot of parts in the park that can be closed off at any time so you can’t walk on the grass). Good luck with your dream to move here though! Very exciting. First pic is my favourite!